Save any empty plastic lids like shaving foam and hair spray lids. Wash well, and give to a baby who can sit up well. Baby can practice stacking up, nesting inside each other, and banging together to make noise. Using a small blanket as your base, sew on brightly colored fabric pieces in different textures and sizes to create a play mat. Attach short ribbon loops to the corners, and you could attach a teething toy or rattle or two for extra fun. Simply roll a clean pair of socks into itself so baby can practice gripping and throwing. Stuff with crinkly paper to make a great sound! Start saving plastic lids from milk bottle tops, soft drink bottles, etc. Look for different colored lids. Punch a small hole into the top of each with a nail, thread onto a length of cord, or ribbon to create a chain of lids with a rattle. Thanks to Sharon for this Frugal Baby Tip! -- Make sure any strings or ribbons are not long enough to get wrapped around baby and cut off baby's circulation. Also make sure they are firmly attached to the toy. -- Did we mention babies put everything in their mouths? It's important to remember any homemade toy can potentially cause choking – no matter how well you've made it. 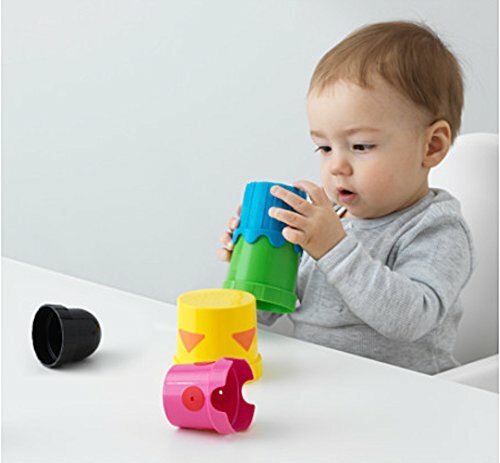 If anyone can pull it apart, your baby can! Keep an eye on baby at all times. It was rather interesting for me to read this blog. Thank you for it. I like such topics and anything that is connected to this matter. I definitely want to read more soon.